Ivan Cattaneo was born in Bergamo and at a young age moved to London where he attended the London music scene and met people like David Bowie, Cat Stevens and Roxy Music. He returned to Italy and made his debut as a singer and guitarist in 1974. In 1976 Ivan recorded his debut album “Uoaei” With producer Nanni Ricordi. 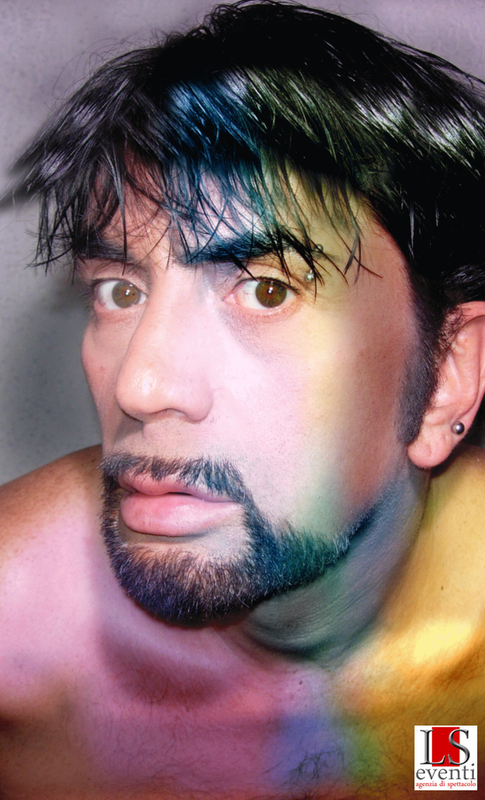 With the album "Urlo", which was released in 1980, he signed one of his greatest successes as a songwriter, the ante literal hymn to bisexuality called "Polisex". In 1981, Ivan Cattaneo he becomes significantly popular and passes from songwriter to interpreter with his album "2060 Italian Graffiati", a visitation of the 1960s Italian his that includes "Un ragazzo di strada" and "Una zebra a pois". After the song writing parentheses, in 1982 he came out with the album "Ivan il terribile", and then the next year published "Bandiera Gialla" (1983). This LP was inspired by television host Red Ronnie and record producer Caterina Caselli and included the songs "Bang Bang", "Sognando la California", "La bambolina che fa no no" and "Prendi la chitarra e vai", which recorded clamorous sales. An eclectic performer with great stage presence, Ivan Cattaneo is one of the leading exponents of the period and is brilliant in coupling song writing with electronic experimentation.